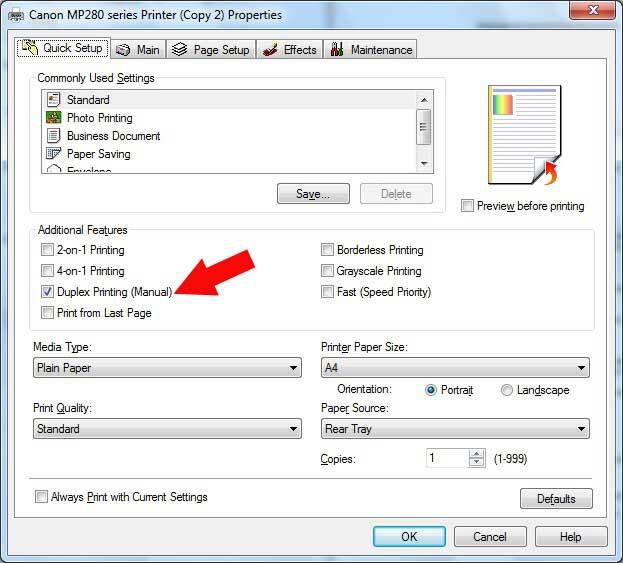 In this article I want to share about How to Print Two-Sided Documents in Microsoft Word 2010 using canon printer. By doing Print on both sides of the paper like a book, it can save more paper. Usually when printing a document, the printed page will be sorted according to the page number and each sheet of paper is used only one side. But if you want to save more paper, then you should Print on both sides of the paper, especially if you want to print to make a book. If you think the knowledge about Print on both sides of the paper is still a constraint, let's look at these simple tips in order to increase your knowledge about how to Print Two-Sided Documents. With these tips you do not have to bother to set up any page that will be printed on the both sides. Document will be arranged itself like printing a book. Please open the document you want to print on the both sides in Microsoft word. 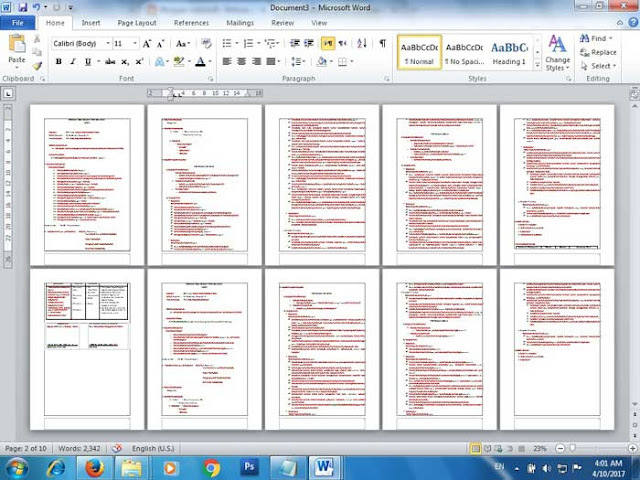 For example here I have a document in Microsoft Word of 10 pages. Because it will be printed two sided document, then the paper that I prepared just 5 pieces only. 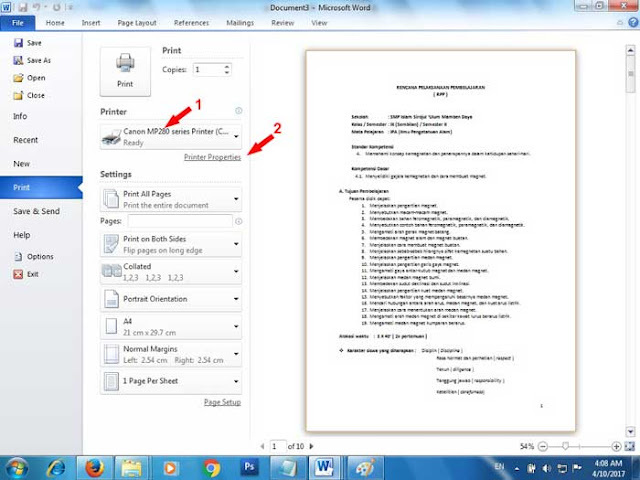 Print the document by selecting File - Print or press Ctrl + P on the keyboard. Select the printer name that will be used to print Two side document and then click Printer Properties. In this example I am using the MP287 canon printer. In the Quick Set tab, select Duplex Printing (manual). You can also set some required settings such as the type of paper used, Printer Paper Size and document printing quality. Please set the printer as needed. Next you will go back to the menu earlier, directly press the Print button to start print two sides document process. Make sure you have put paper on the printer, when the print document starts, the first printed page is the odd numbered (1,3,5,7,9). 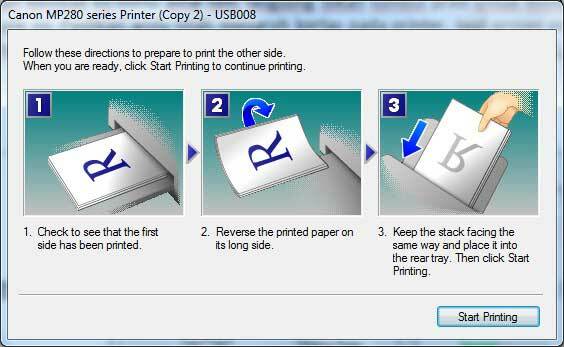 After printing the first five sheets, the printer will stop printing and ask you to load the paper into the printer. You can follow the instructions as shown in the picture below. After inserting the paper into the printer, press the Start Printing button and see the result, you have successfully printed the both side document, everything is neatly arranged like making a book. You do not have to bother to arrange the pages because everything is arranged automatically.